Buffalo Trace Distillery, factory, manufacturing, industrial, steam, sunny, Kentucky Bourbon Trail, Kristina Krug, advertising, annual report, corporate, commercial, editorial, photographer, photojournalist, journalist, pictures, photos, photographs, photo, journalist, Austin, Mississippi, Louisiana, New Orleans, Carbondale, Chattanooga, Washington DC, Louisville, Lexington, Kentucky, KY, Johnson City, Knoxville, Asheville, NC, North Carolina, Nashville, Memphis, Tennessee, TN, Atlanta, Athens, Savannah, Georgia, GA, Chicago, Illinois, Southeast, Midwest, St. Louis, Missouri, Indiana, Indianapolis, Cincinnati, Little Rock, Arkansas, AK, portrait, freelancer, freelance, bourbon, spirits, craftsmanship, distillation, equipment, factory, product, tank, work, still, whiskey, alcohol, beverage, warehouse, bottling, facility. 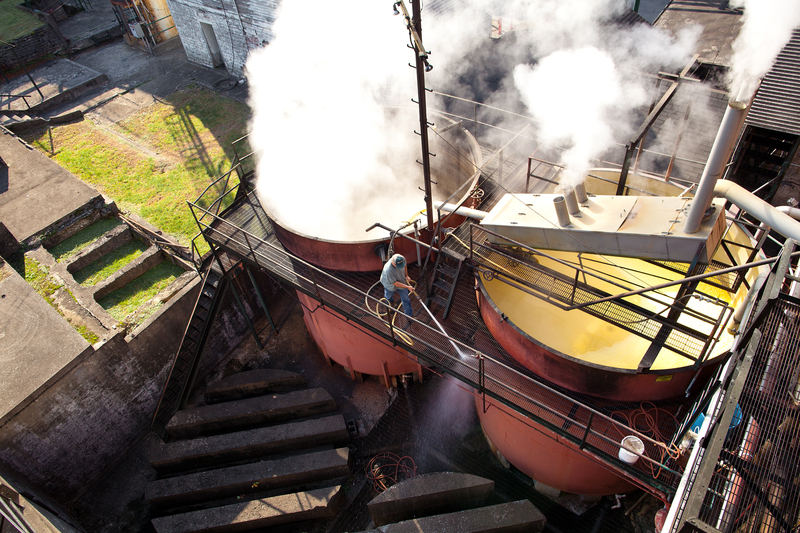 Fermentation tanks at Buffalo Trace Distillery, Frankfort Kentucky. Wine Spectator Bourbon Issue.